Who is doing the cooking tonight? Don't forget to wear your GSDR apron. Lovely long apron with a handy pocket on the front for him or for her, keeps those messy splashes off your clothes. 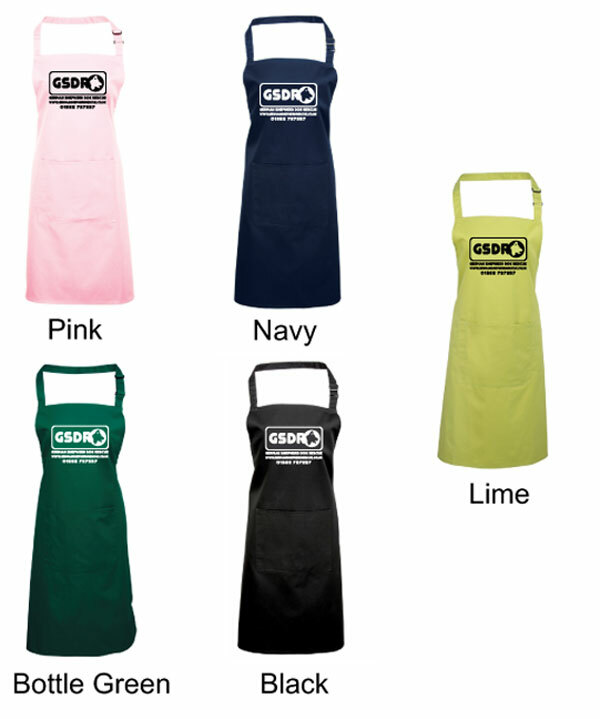 The apron comes with the GSDR logo printed on the front and is available in a variety of nice colours. The material is 65% polyester and 35% cotton so should wash and wear well. This makes a nice gift item for friends and family too. Apron with printed GSDR logo.